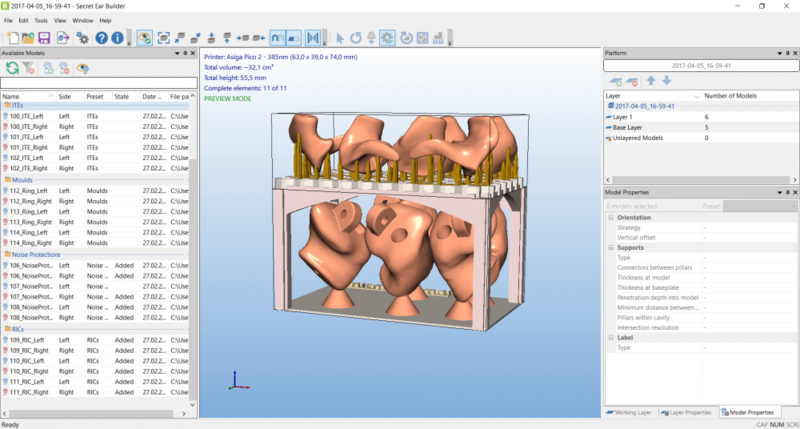 Secret Ear Builder helps you control the following tasks: grouping of earmold styles, alignment, nesting, selection of the most appropriate support structures, management of a range of parameters. The preparation of earmolds for production is no longer time-consuming tinkering, but a clearly defined process of limited duration. The tools Nesting and Multi-Layer allow for the automated creation of multi-story print projects while taking full advantage of the vertical build space (z-up) of your 3D printer. Time-consuming multi-layer print jobs can be produced intelligently over night. Example: Up to 66 in-the-ear shells can be produced in one pass on a platform with a build volume of 105 x 59 x 90 millimeters. This can increase the annual throughput of a 3D printer up to 40%. 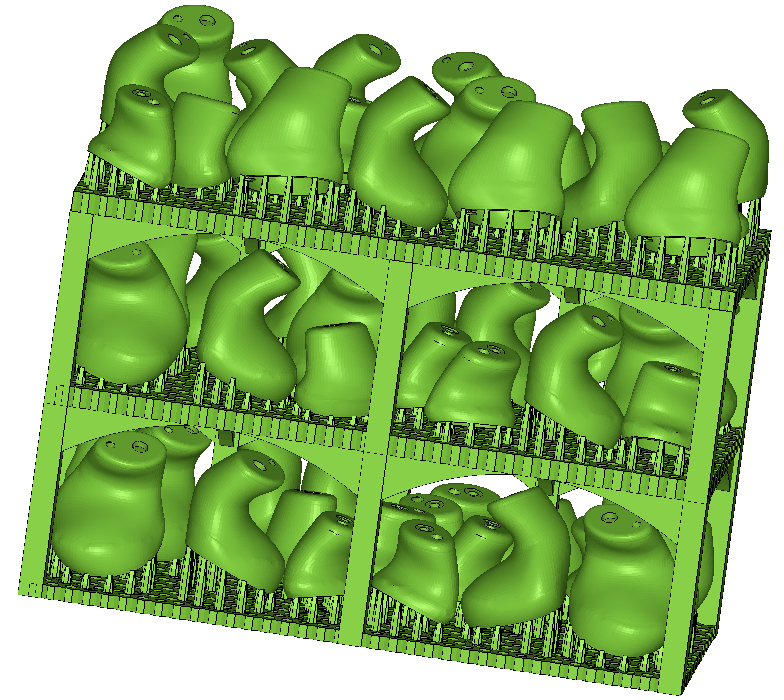 Group injection molds and use sprues as support cones? Select support structures that are ideal for ITEs? Position particular earmolds manually? Distribute parts on one platform or on many? 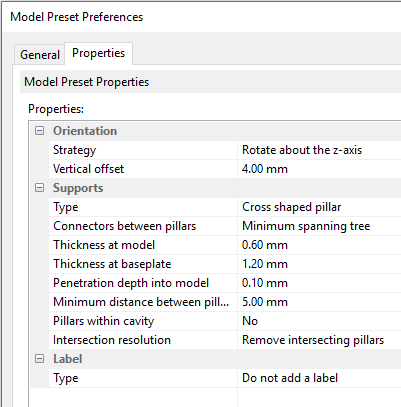 At the push of a button, optimized settings can be selected for different alignment strategies, support structures and base plate designs, making your work simple and efficient. Most earmold laboratories use more than one 3D printer in their production as resin changeovers are usually too time-consuming. Secret Ear Builder considerably simplifies the combination of 3D printer with the appropriate support strategy. 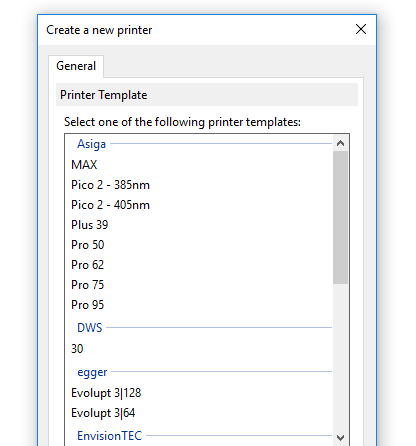 As an open system, Secret Ear Builder allows users to store their own printer settings to make individual adjustments. Secret Ear Builder can communicate with your ERP system, if desired, via ERP-Link. Do not just take our word for it - see for yourself: Secret Ear Builder can be tested for free and without any obligation. Contact us!